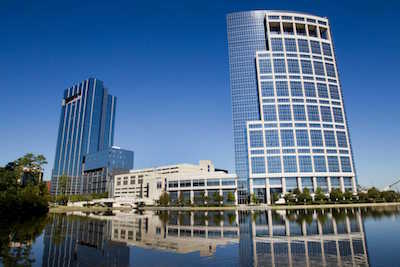 The Woodlands' economic base is well diversified with over 4,000 employers, including all sectors, located in the area. These businesses range from owner-operated establishments to global corporate headquarters. Here is a list of the major employers (non-retail) in The Woodlands.